Best place to buy BTC? Most people use Luno, with some going the ice3x route, those are the only two local SA exchanges I know of. There is also localbitcoins.com , but I haven't used them before. 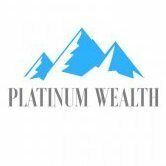 Hello Rudy, welcome to Platinum Wealth. Buying Bitcoin in South Africa will be very similar to how it works in Australia perhaps you have used or heard of acx.io which is one of Australia’s trusted exchanges. 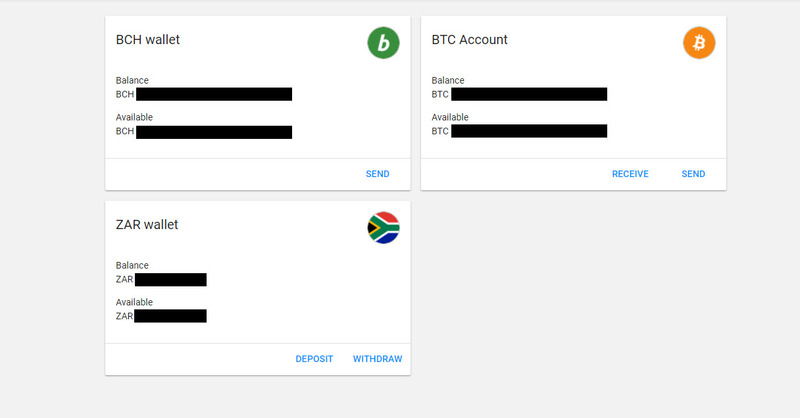 In South Africa, the easiest way to buy bitcoin is to use an Exchange as well. The most trusted exchange in South Africa is Luno.com. You will need to register on Luno – Feel free to use our affiliate link: https://www.luno.com/invite/QMVSZ alternatively use our code: QMVSZ (We get R10 if you spend R500). At level 1 you are allowed to deposit a maximum of R15 000 and you are allowed to withdraw a maximum of R15 000. At level 2 you are allowed to deposit R50 000 per month and withdraw up to R50 000 per month. At level 3 there are no limits and you are free to move as much money as you want. A very big note of caution to keep in mind with Luno, they report to SARS, due to the fact that ZAR is involved so whatever bitcoins you buy they know about and when you sell Bitcoin for rands then you must declare it, otherwise you will open yourself up for a world of hurt. 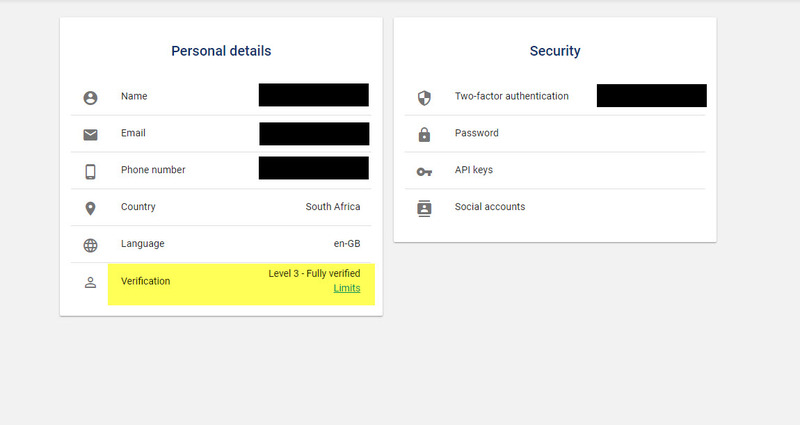 Once you have submitted your documents and you are verified, you can now add your Bank Account and use that to fund your ZAR wallet on the exchange with what you will purchase Bitcoin. 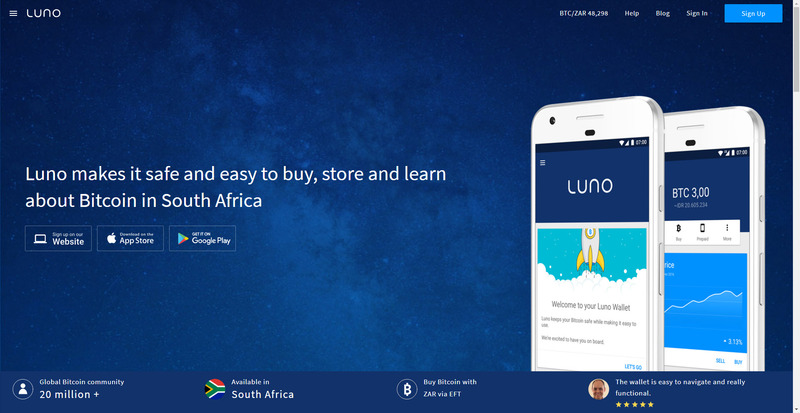 Now that you have funds in your ZAR wallet you can proceed to buy Bitcoin, keep in mind that on Luno you can use the “Quick Buy” method (not recommended) or you can use the Luno exchange and put in a buy order. I always use the buy order, that way I let the price come to me. Click on this link to enter the Exchange https://www.luno.com/trade/XBTZAR and proceed to place your buy order. I will be testing via an international exchange this week. Registered and validated an account on Kraken, and will be transferring USD to buy bitcoin there. i believe i will be able to get it cheaper. Keep us posted with a cost breakdown if you can. It will be quite valuable to know. I am sure @Werner will be interested too. I believe a further 10USD will be charged before i receive it in my kraken account. break even is roughly R10,000 (possibly less as i think Swift transfer fee's varies between R250 and R750), but after that Kraken is kicking Luno but. Will give a final summary once i buy BTC on kraken - swift transfer according to uncle google can take up to a week. obviously if you can register with a popular exchange that sells BTC even cheaper than Kraken, even better. Kraken confirmed the deposit roughly 30 hours after sending it. Spot rate for buying it last night was $4877 - was a bit of a bubble and dropped to $4699 today. Luno does not share information with third parties (including Sars).